Our Chinese Medicine therapist Ms Jennifer Raicevich has been treating patients with a wide range of health issues such as acute and chronic musculoskeletal aches and pains, tennis elbow/golfers elbow, frozen shoulder, bursitis, neck and back pain, menopause and metabolic syndromes, whiplash accidents, work and sport related injuries, womens’ health issues, fibromyalgia, digestive problems and other related health issues. Jennifer believes in the importance of applying all appropriate modalities in treating each patient’s unique condition to achieve the most effective outcome. She employs traditional Chinese Medicine techniques - this involves differential diagnosis of the tongue and pulse followed by treatment which could include acupuncture, appropriate massage techniques, cupping, moxibustion or myofascial release. Musculoskeletal Pain: In most musculoskeletal conditions especially neck and shoulder, back, elbow, arms, back, knee wrist and legs pain etc, insertion of acupuncture needles is not in the pain area. "I like to emphasise this because most people has needle phobia and the thought of needle deter them from having acupuncture. 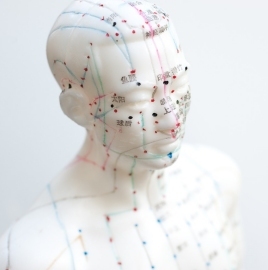 By needling somewhere else in the body, the patient not only can feel instantaneous pain relief but also able to mobilise the restricted neck, elbow, knee or wrist to test the effect of acupuncture. In most cases patients able to move their neck or elbow, knee or wrist without pain. Sometimes the pain moves and I will chase the pain until its gone." Cosmetic Acupuncture/Facial Rejuvenation Acupuncture: "Another passionate area of acupuncture that has proven great success for me is Cosmetic Acupuncture/Facial Rejuvenation Acupuncture. Almost all patients are very happy with the result of the before and after look and feeling great. The therapy treats not only the face but the whole body as well. So unlike all other "beauty" treatment in the market, I don't think any beauty therapy addresses both face and body at the same time. I have before and after photos to prove. Yet most people are not aware that acupuncture can reduce your frown lines, wrinkles, tighten your jowls, even out your complexion, etc making you look refreshed, radiant and relaxed." Dietitians provide advice on nutrition with particular emphasis on healthy eating in context of specific medical conditions such as diabetes, coeliac disease, and nutritional deficiencies. They can also assist with weight management and dietary requirements for specific phases of life: childhood, pregnancy and aging. As well as addressing specific dietary needs in illness and chronic medical conditions such as Coeliac Disease, Diabetes. 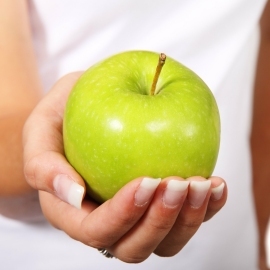 Ms Jutta Wright has extensive experience in all aspects of dietetics. She has worked for Nestle as a staff dietitian and has been the investigator in many clinical trials in the field of dietetics and nutrition. Jutta charges a private fee for her consultations, a Medicare rebate may be available to those with a valid Chronic Disease Management Plan (Medicare allows up to 5 visits to all Allied Health practitioners in a calendar year: Jan to Dec). Otherwise rebates my be available to those with Private Health Insurance cover (HICAPS, etc). Podiatrists are providers of comprehensive foot care including the treatment of painful and debilitating foot problems. Podiatrists play an important role in the maintenance of mobility and consequently general health and independence of all members of the community. Mr Marco Mangano has extensive experience in all aspects of podiatry. He bulk-bills standard podiatry consultations for those with a valid Chronic Disease Management Plan (Medicare allows up to 5 visits to all Allied Health practitioners in a calendar year: Jan to Dec). A private fee applies to other consultations however rebates my be available to those with Private Health Insurance cover (HICAPS, etc). Marco also specialises in the production of orthotics to remedy many foot problems; he uses a 3D printer to achieve the best results. 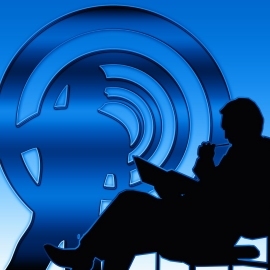 Psychologists mainly provide care in two overlapping areas: mental health and counselling. A psychologist can help deal with a wide range of issues such as: relationship and family issues, depression, anxiety, adictions, phobias, personal crises, anger management and behaviour problems. They can help in learning skills to live a better life and to solve problems more effectively. Derya has has extensive experience in treating a wide range of psychological conditions, including depression, anxiety, grief and loss, relationship and family issues, trauma and workplace stress. She has extensive experience in working under the NSW WorkCover framework collaboratively with the various stakeholders to achieve the best outcome for her patients. Alicia is a clinical psychologist and has extensive experience working with individuals and groups and works holistically across the life areas and issues that people bring to counselling.